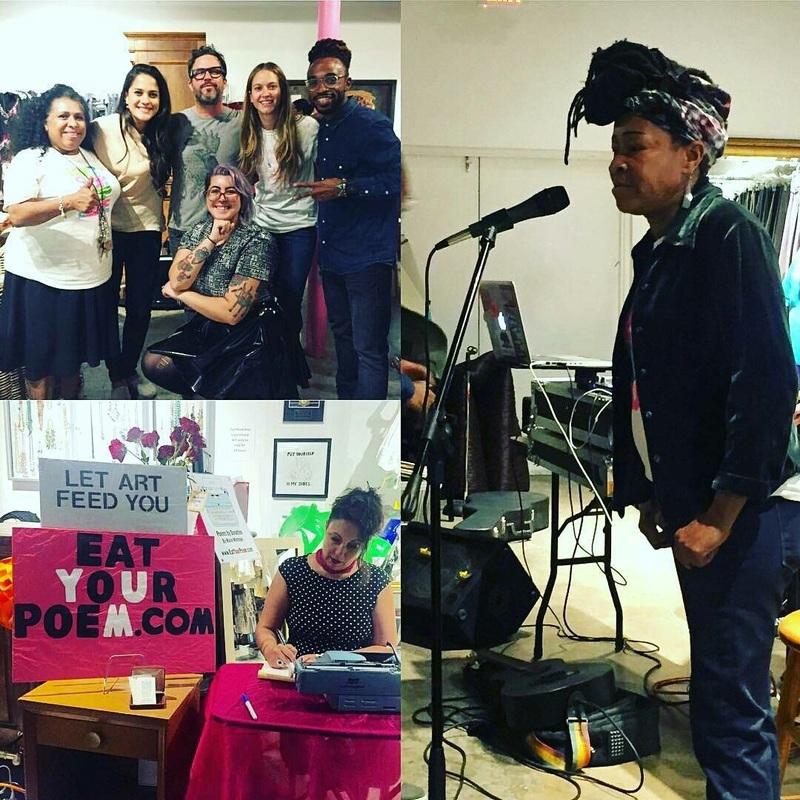 Poetry with a Purpose brings the healing power of poetry into women's shelters, homeless shelters and recovery centers. 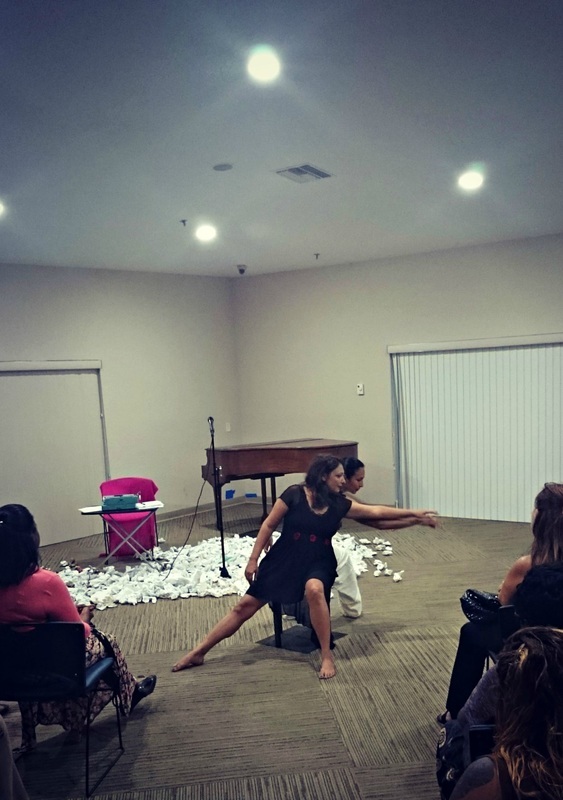 We provide dynamic creative writing classes and present inspiring poetry readings and spoken word performances inside the different facilities. 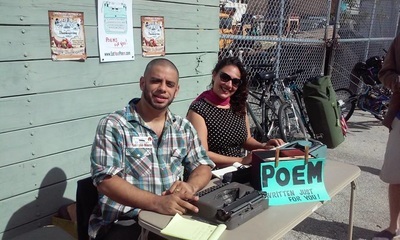 Our poets can also set up vintage typewriters at the shelters and shelter fundraising events and create and distribute edifying poems - spreading light and love through the poetic word. 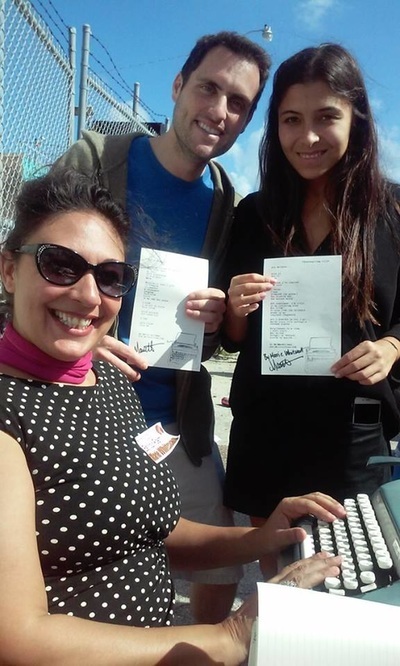 We have offered creative writing classes at Camillus House Shelter in Miami. Oftentimes, participants came in from nights of being on the street. Their desire and willingness to share their hearts on paper was humbling and hopeful. 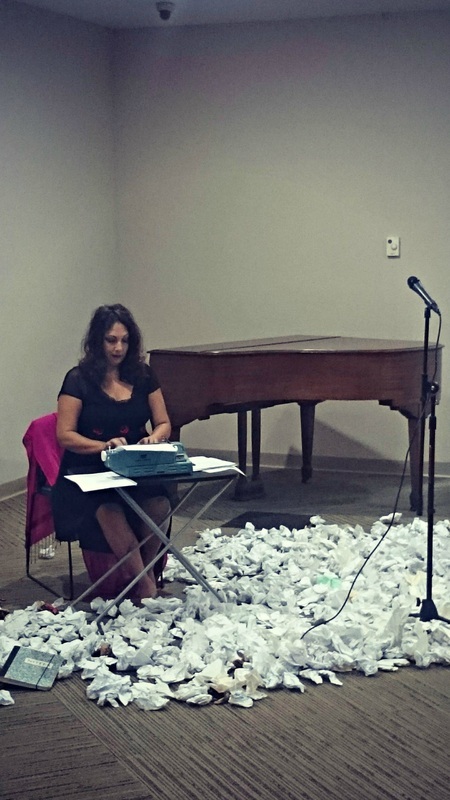 In October, Marie Whitman created typewriter poetry at an event supporting the work of Lotus House Shelter. Marie Whitman and Poetry with a Purpose have provided an extensive program at Women In Distress shelter in Broward County. "With regard to the impact of the poetry sessions offered by Marie Whitman here at Women In Distress, I can tell you that our group size grew from 3 Participants the first week, to 10 by the second session. 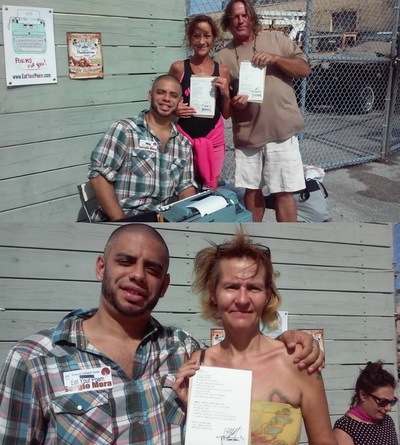 Participant’s, who initially appeared reluctant to share their poetic thoughts, were encouraged. 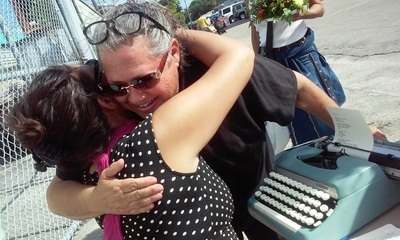 I witnessed smiles, tears and laughter among those sharing their own words, maybe for the first time, and also by those moved by what they had heard. 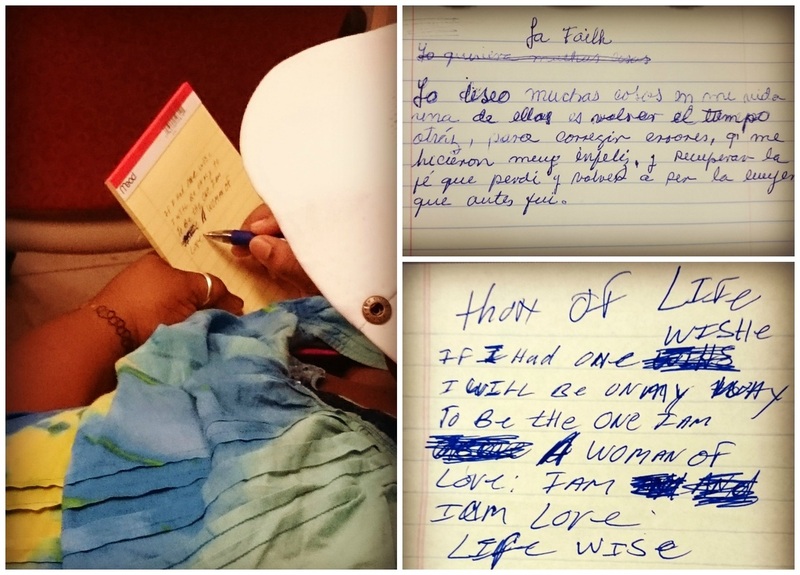 I believe our Participants are in the process of discovering the power of their own thoughts, words & voices." 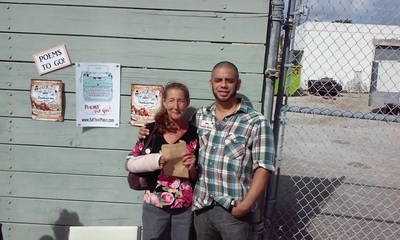 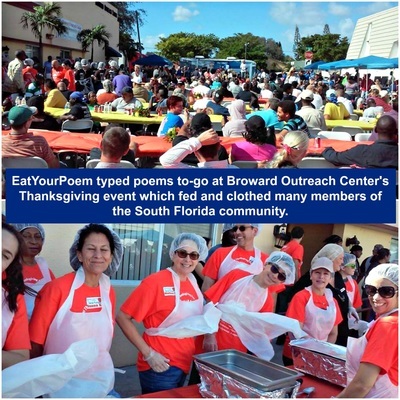 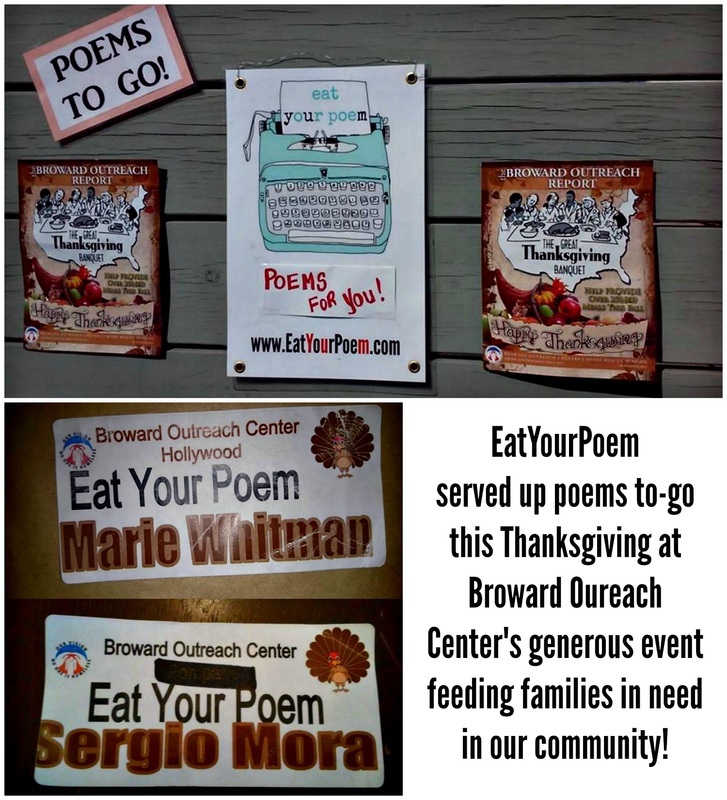 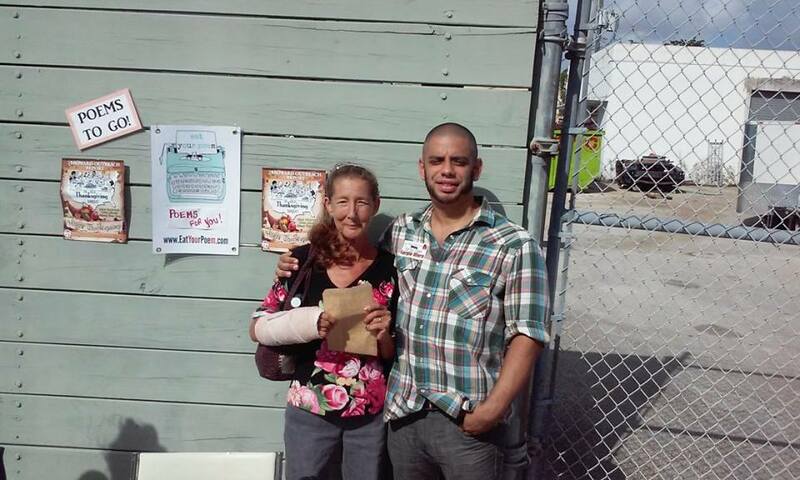 Check out Eat Your Poem's Poetry with a Purpose creating and distributing poems on Thanksgiving at Broward Outreach Center. 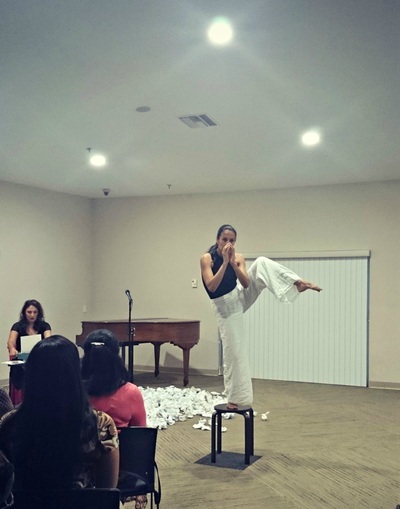 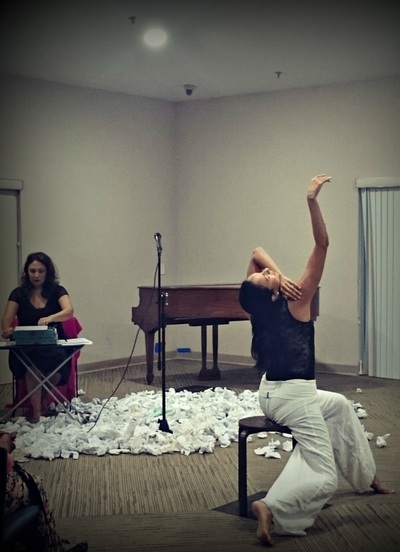 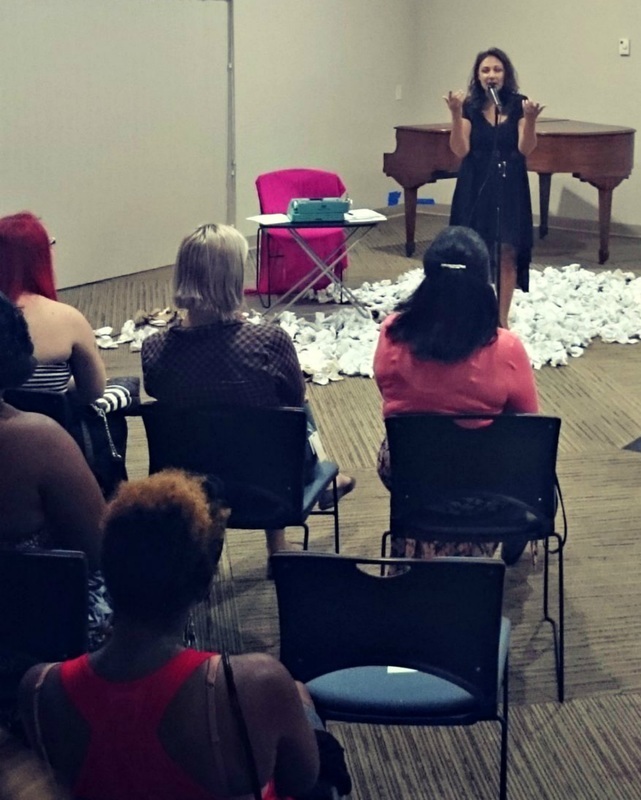 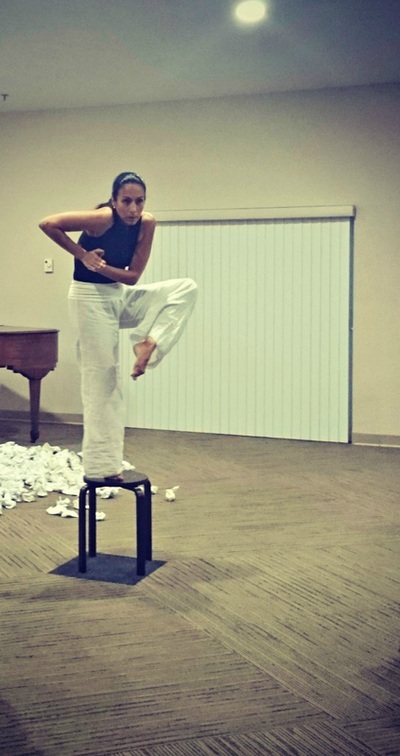 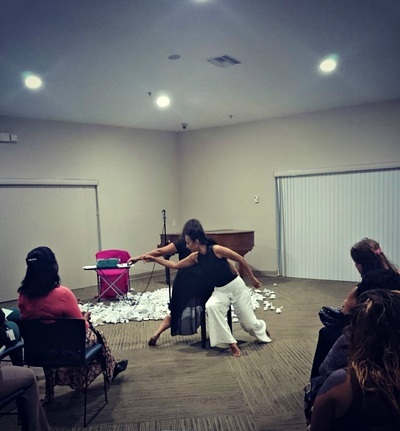 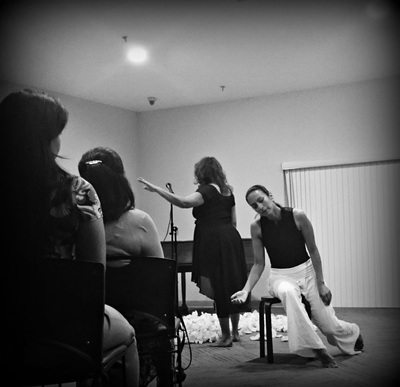 In September of 2015, Poetry with a Purpose was able to present an inspiring evening performance of poetry and dance for the residents, staff and clients of Women In Distress Shelter in South Florida. 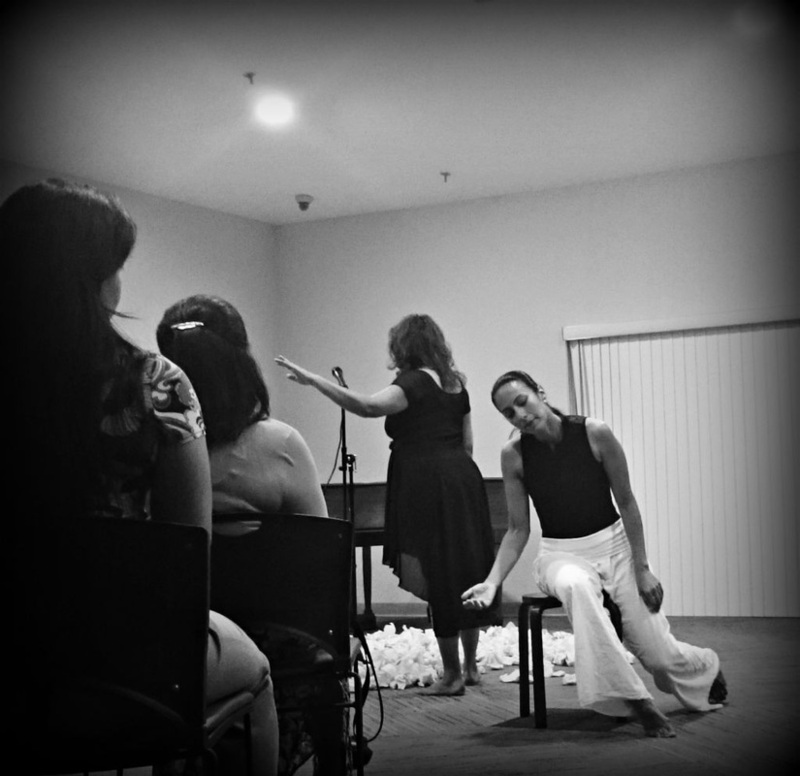 The impact was palpable and we were able to infuse some inspiration and beauty into the atmosphere and into some hearts. 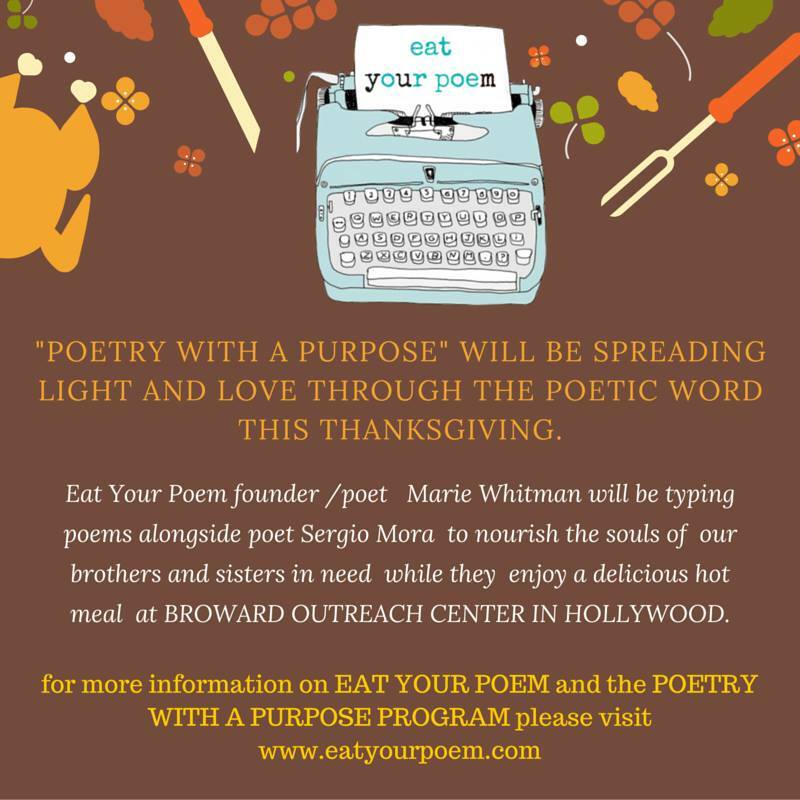 In February 2015, Poetry with a Purpose was awarded the FEAST Miami Artist Grant and this allowed us to get the program off the ground and allow us to provide six months of programming! 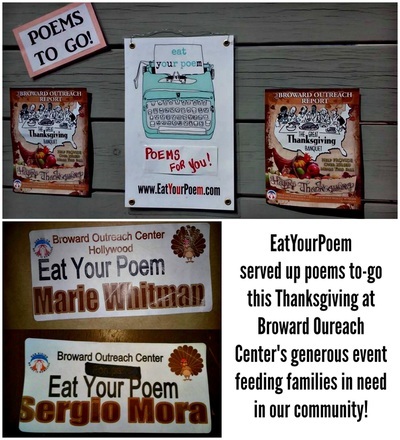 Thank you to all who voted and much gratitude to FEAST Miami!